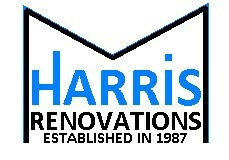 M Harris Renovations - Builder based in Isleworth, Middlesex. My name is Mark Harris and M.Harris Renovations,is a partnership that has nearly 40 years experience in most renovations of,domestic and commercial works of dilapidation. All works taken on from,Painting and decorating,Kitchen and bathroom refurbishment,Plastering,Carpentry,Tiling,Full house refurbishment. Please don't hesitate to ask about anything you require. We are also period property renovators with old photos of us dating back to 1987 renovating a property built in 1630 in Hampton,Middlesex. All works carried out to high standard.